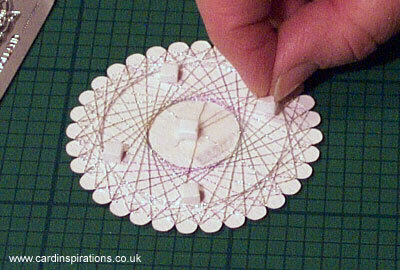 Add five double-sided mini foam pads to the back of the Spirella shape. Spirella project published January 2004. All images copyright and reproduced with kind permission of the copyright holders.